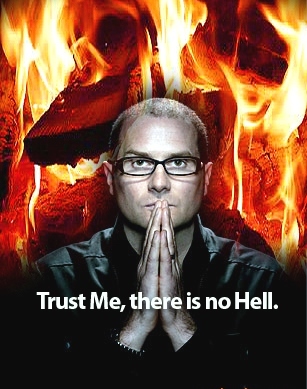 The former founding pastor of Mars Hill Bible Church in Grand Rapids, MI and a popular icon in the emergent church movement, Rob Bell grew his following in part by being a friend of the world. Bell often uses suggestive ques­tions rather than declarations to challenge traditional Christian doc­trine and the Bible’s authority. I am for marriage. I am for fidelity. I am for love, whether it’s a man and woman, a woman and a woman, a man and a man. I think the ship has sailed and I think the church needs — I think this is the world we are living in and we need to affirm people wherever they are. Because of sin, judgment must come. The Word of God leaves no doubt about the existence of hell and severity of it. God has provided everything we need to know about hell and how to avoid it through faith in the sacrifice and resurrection of Christ. Bell is an example of the product of Protestant Liberalism that evolved back in the nineteenth century. When the message is watered-down, it can be confusing to the biblically illiterate. This brings us to Universalism which teaches that all people will ultimately be saved no matter what they believe here on earth. You can live the way you want: sin, curse God or deny Christ and still make it into heaven. Some Uni­versalists say their salvation is through the atonement of Jesus Christ while others think everybody will go to heaven eventually regard­less of whether or not they have put their faith in Christ. Apparently this universal redemption will be realized either during a person’s lifetime or after their death in some future state. Since there are many variations of Universalists, it’s not possible to place them all in one doctrinal category. Christian Universalism however, holds that all of mankind will ultimately be saved through Jesus, whether we place our faith in Him as the Son of God or not. This salvation is not from hell, but from sin, thus pretty much eliminating the truth about a future Judgment Day. As you can imagine, this is a very appealing teaching to young people, and an entire generation of evangelicals has already been poisoned with this unbiblical doctrine. After all, who wouldn’t want to accept a God of love without having to hear about repentance, holiness, judgment and justice? 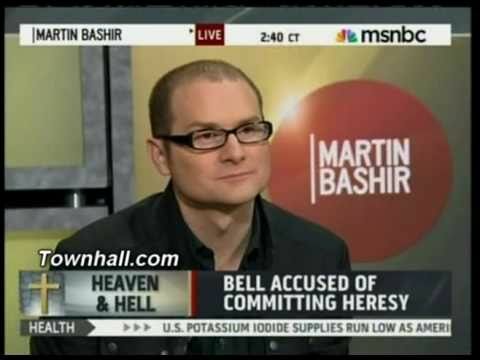 Some Universalists believe they will make it to heaven because a lov­ing God would never create a place like hell. They think they will have to make up for their sins in some way – in heaven – and that they are disciplined and purified in this life for their sins. Most believe punish­ment for sin is moral, not physical since there is no eternal damnation. Christian Universalism boils down to the claim that any doctrine about a literal hell is wrong. There are those who also split hairs over the essential doctrine of Christ’s physical resur­rection, believing He was taken into heaven by God instead of actually rising from the dead and coming out of the tomb. Groups that deny the physical resurrection of Jesus are not Christian, nor are groups who deny the teaching of the Trinity. One of the more dangerous Universal­ist beliefs is a type of reincarnation in which those who have rejected Christ get a second chance and can still come to faith in the next life. These teachings should be avoided, and it’s always best to test all things by the living Word of God.